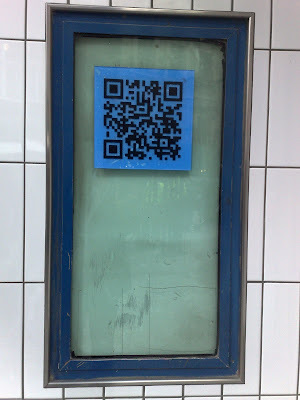 The Oxford Circus QR code - revealed! The music industry has gone through dramatic changes in recent years and a QR code at Oxford Circus underground station in London is yet another reminder. 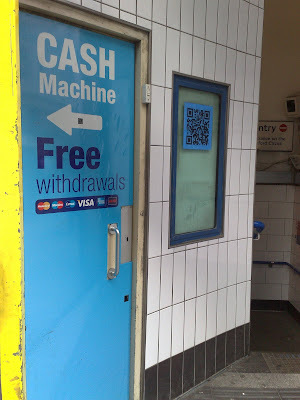 So a random sticker / 'poster' at an underground station is made interactive through the QR code mechanic and subsequently opens up the opportunity for deeper engagement across a number of sites (starting on mobile and moving to the desktop) - though technically I assume this still qualifies as fly-posting? Is 3G network access ok down there? I realise this the QR code site is near the exit, but it's still below street level.